The Indian government is making a renewed push for electric vehicle adoption. It has earmarked about Rs. 9,000 crores in the latest set of subsidies for electric vehicles. What this subsidy means is that electric car buyers will get a rebate of up to Rs. 2 lakh from the government, which wants more people to buy electric cars rather than the ones running on petrol or diesel. The Indian government also plans to support electric two-wheelers by offering a rebate of up to Rs. 30,000, on purchase, to buyers. However, these rebates do come with terms and conditions. The government plans to give 50,000 electric car owners, the Rs. 2 lakh rebate but cars bought under this scheme cannot have a price of more than Rs. 15 lakhs. Similarly, the Rs. 30,000 rebate for high-speed electric two-wheelers is for 1.5 lakh owners, but the two wheelers need to be priced below Rs. 1.5 lakh, to be eligible for this scheme. For low-speed, electric two-wheelers, the government will offer a Rs. 20,000 rebate, but here again, the maximum price of the two-wheeler has been capped to the sub-Rs1 lakh mark. This scheme will also be offered to three-wheelers, buses, trucks and light commercial vehicles. All in all, the Indian government hopes that such discount schemes/rebates on electric vehicles will entice buyers to opt for these vehicles. Moreover, the government is in the process of reducing GST on batteries for electric vehicles, which is likely to make electric vehicles sold in India cheaper than before. Such rebates are also likely to encourage car and two-wheeler makers to come up with more attractively priced electric vehicles. For now, the electric car space in India has just two offerings, both from Mahindra Electric. The E20 4-door is one such offering while the other is the eVerito. 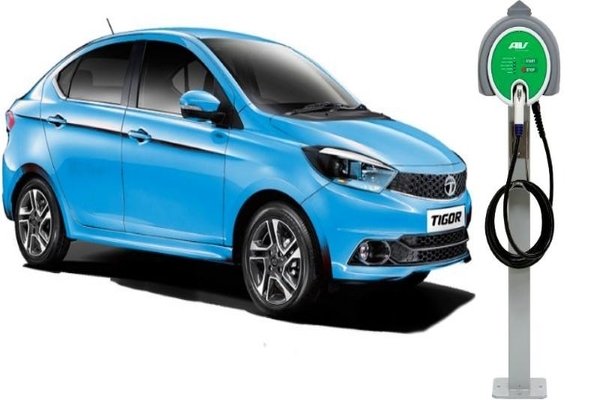 Tata Motors is likely to introduce the electric variants of the Tiago and Tigor soon. Next year, Hyundai plans to bring in the Kona Electric SUV. Mahindra’s future plans include the electric variants of the KUV100, the XUV Aero and the S201 compact SUV. Maruti also has plans to enter this space in 2020, with a new electric car developed in collaboration with Toyota.